This really works. Mix it up, shape the loaves, and just one rise then bake. 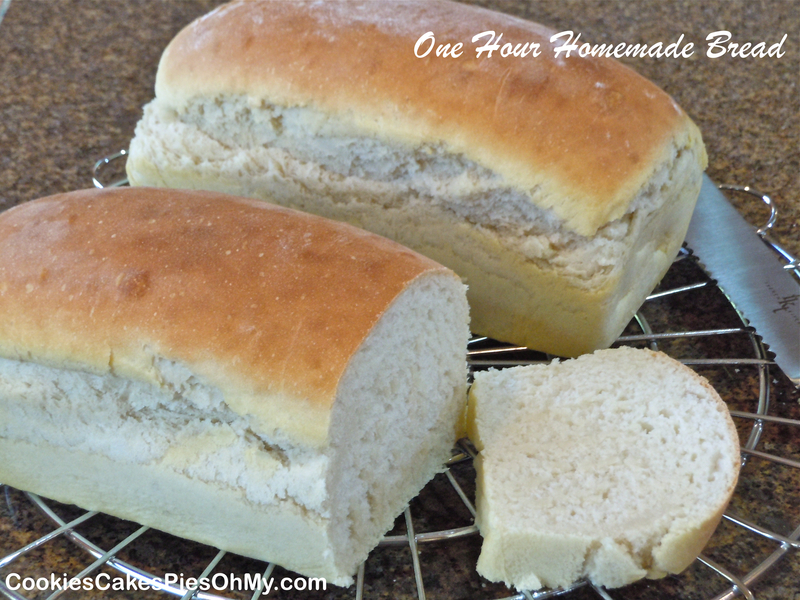 Delicious tender white bread ready for an after school snack or dinner. In bowl of mixer, add flour, sugar, salt, and yeast. Pour in warm water and oil. Mix for 5 minutes. Dough will be very sticky. Spray counter and 2 bread pans with non-stick spray. Shape loaves, place in pans and cover with towel. Let rise 25 minutes. Bake at 375° for 25-30 minutes. Makes 2 loaves. If you are interested in Demarle bakeware and kitchen tools such as the Roul’Pat & Beechwood Rolling Pin please visit mydemarleathome.com/kristenparker or simply click on the Demarle at Home logo below. This bread was great, have you ever tried to freeze it? Hi Norma, no I have not frozen this bread but I am sure it would freeze just as well as other breads. So glad the recipe worked well for you! Awesome recipe. I have frozen the bread with good results. Works great. I also sometimes replace two cups of flour with whole wheat. I tried this recipe and it turned out awesome. Thank you for posting it for all. I modified it a bit by adding some whole wheat flour and ragi flour to it and proportionately reducing the quantity of refined flour …. every one at home enjoyed it very much. So glad your bread turned out well. Thank you for visiting my site! This is the best recipe! Thank you for postingt this. My kids love the bread, and it’s the easiest and fastest bread recipe I’ve found! Great, so glad the recipe is helpful for you Tammy! Homemade bread hot out of the oven as an after school snack for a kid, making great memories! Amazing smell to come home to! I love to hear these happy results! Here’s to hot bread right from the oven…cheers! Just made this tonight for my husband and I. We both loved it and it was amazingly easy. Thank you! So glad, yea for homemade bread! Thanks for visiting. I just made this bread and it was raising in the pan and once I put it in the oven it fell. Any ideas? I followed the recipe exactly as printed. Thanks in advance. Does it matter what kind of oil? Will olive oil work? Olive oil should work just fine. Happy Baking, thanks for visiting! Do you know if unbleached flour will be okay to use? I usually use frozen dough when I want “homemade” bread, because doing it from scratch seems like so much work. But my aunt put me on to this recipe yesterday, and, oh man, it’s a game changer!! It turned out beautiful and perfect, and my family happily woofed it all down! In fact, it was so easy that I’m making it again today. This could be a problem… haha. For some variety, I added 2 tsp. cinnamon to the dry ingredients today – it already smells heavenly. I’m thinking I’m going to try adding different spices next time too. Maybe some garlic, oregano, and basil for an Italian taste, or cumin, chili powder, and red pepper flakes for a southwestern bread… Like I said, this recipe might be dangerous for me 😉 Thanks! HI, I made this easy bread recipe. I’m not sure what I did, but, mine was higher in oven and after taking out it deflated, was yummy though. 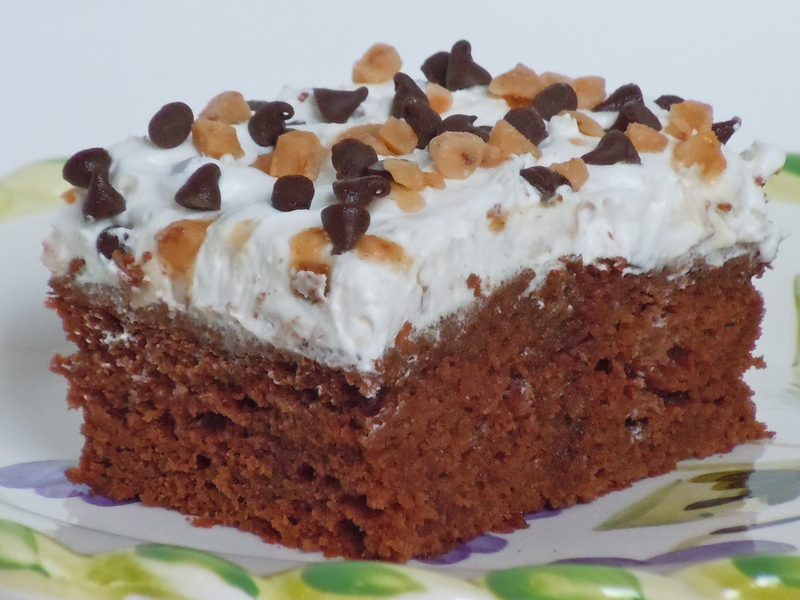 I loved this recipe and have made it with sprouted wheat flour and honey instead of sugar. It turned out wonderful and freezes great!! Now I am wondering if anyone has tried to make this with gluten-free flour. If so, what brand as I get the idea that they can be very different.